Lucite is one of my favorite materials to work with (both in fashion and in home). 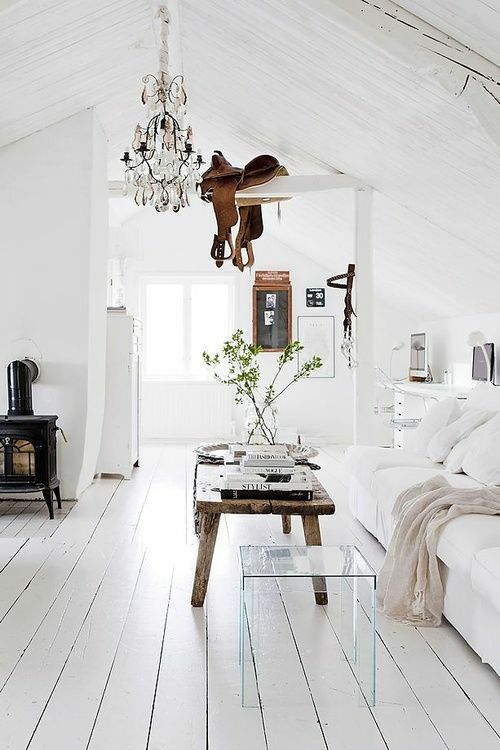 It’s sleek and modern, but looks really cool when styled with traditional furnishings too. It’s super versatile (it works with literally every color scheme) and always chic. I love the look of lucite (or a more budget-friendly acrylic) chairs mixed with wooden elements (like a dining table or desk). 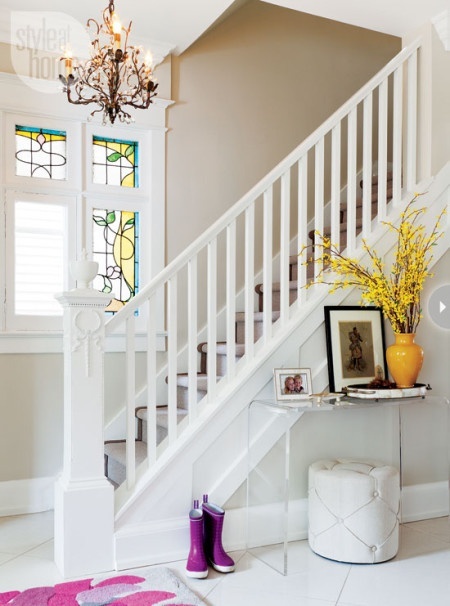 Lucite adds a unique update to any vintage or antique pieces you have. Below are some recommended pieces to shop – this set of dining chairs is my favorite! PS – With fashion week only two weeks away (EEK!) I splurged on a couple of great skirts for fall. This bottle green mini will be perfect with sweaters and booties. I also couldn’t resist the asymmetrical hem on this printed skirt. Finally, the graphic black + white print on this skirt had me swooning. I’ll likely return one of them… which is your favorite? Happy Weekend! 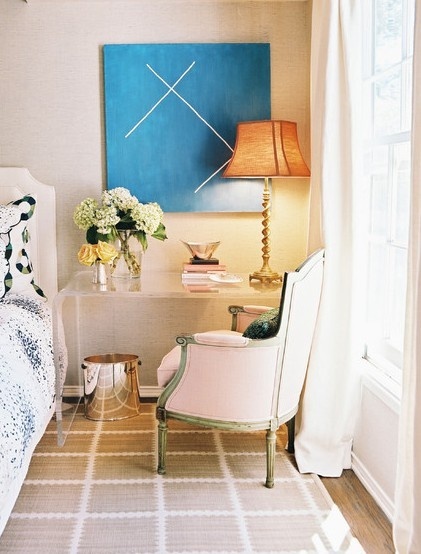 A bit of lucite is just gorgeous in a home. I love it as a side table. I love all of these pictures, all the decorations are gorgeous! Also, I am excited for fashion week to be here as well!! 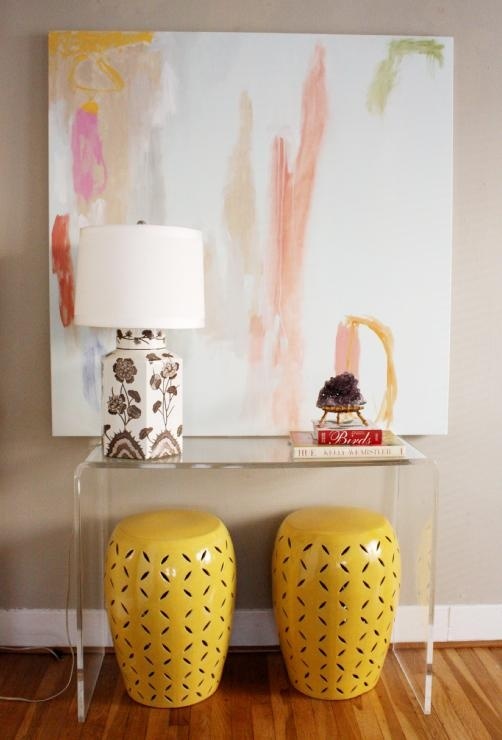 Love, love lucite! I love all these home accents, especially the side-by-side coffee tables. And that DVF skirt is gorg! Going to be furnishing a apartment in the next few months and 100% lucite everywhere I can get do it! I love lucite too! I have 2 ghost chairs in my home and their two of my favorite pieces. PS, Have you seen what Alexandra Von Furstenberg does with acrylic? BTW, I like the All Saint and DVF skirts the most. Thank you for visiting and leaving a comment on my blog. I love all the inspiration above, I am currently re doing my office at home and need some ideas! So jealous you’re going to NYFW! Have an amazing time!